Printed by Associated Newspapers Ltd., Northcliffe House, Carmelite Street, London Saturday June 7th, 1952. Original Broadsheet newspaper. This is an original newspaper and not a replica edition. Tanning to the edges and folded across the centre. Member of the P.B.F.A. 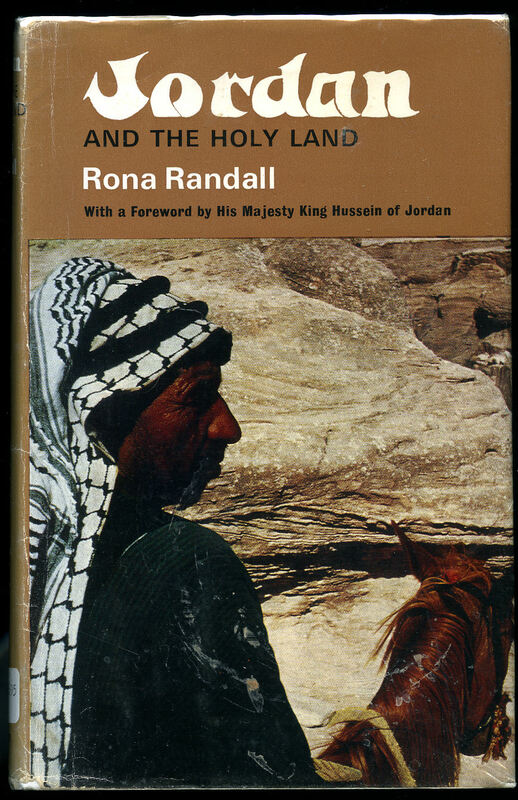 Published Privately by the Author First Edition 1979. Taiwan 1979. First edition in publisher's original colour illustrated laminated card wrap covers. 8vo 9½'' x 7¼'' 144 pp. Colour and monochrome illustrations to every with page with title opposite. 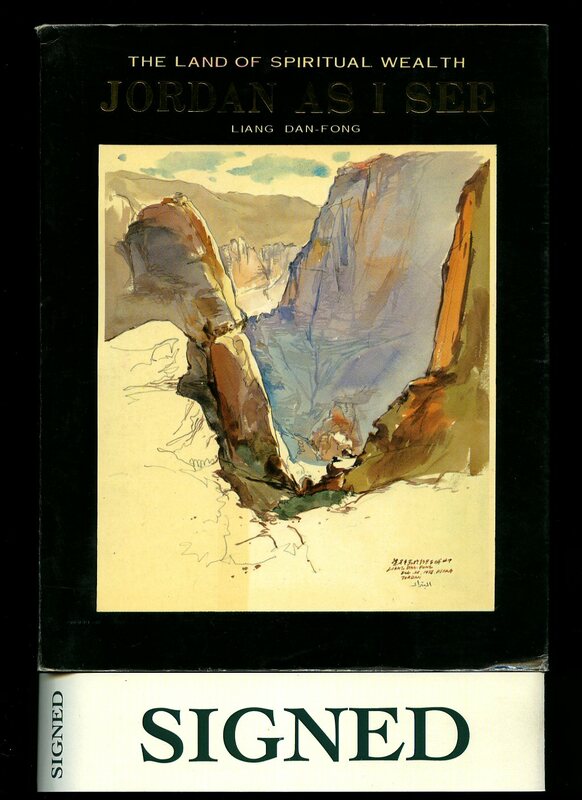 SIGNED presentation copy by the author to the title page 'With best wishes to Dear Mrs Darra, Liang Dan-Fong March 1979, Taipei.' Wavy line across the centre of the pages, small rubs to the corners, no dust wrapper as published. Member of the P.B.F.A. Publisher's original stapled illustrated white card wrap covers. 8vo 9'' x 6¼'' 8 pp. In Very Good clean condition, no dust wrapper as published. Member of the P.B.F.A. Published by Foreign Area Studies Washington D.C. Second Edition 1974. Washington 1974. Hard back binding in publisher's original bottle green cloth covers, gilt lettering to the spine and the upper panel. 8vo 9½'' x 6¼'' 280 pp. Fold-out maps. In Very Good clean and sound condition, no dust wrapper as published. Member of the P.B.F.A. 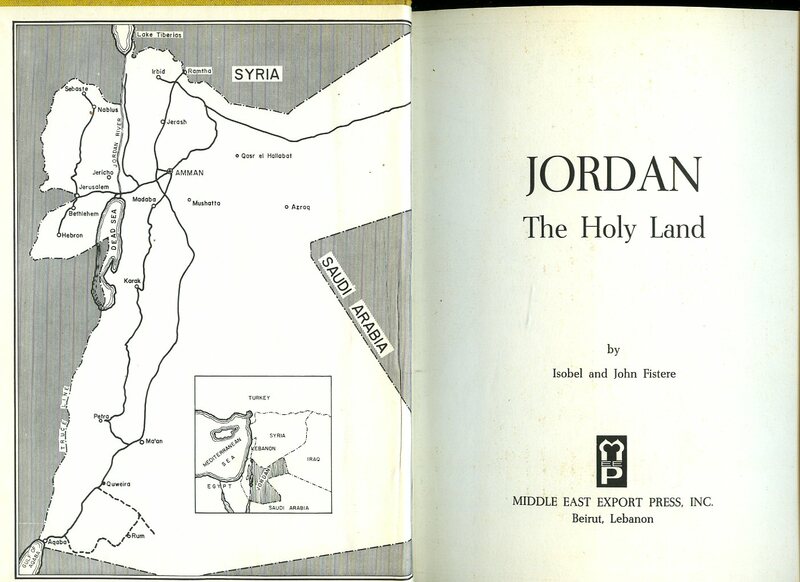 Published by Middle East Export Press, Inc. Beirut, Lebanon 1964. Beirut 1964. Hard back binding in publisher's original banana yellow cloth covers, black lettering to the spine. 8vo 9'' x 6½''. Monochrome illustrations and maps throughout. Spine slightly sun faded and in Very Good condition, no dust wrapper as published. Member of the P.B.F.A. Abdullah I bin al-Hussein, King of Jordan (Abd Allah ibn al-Husayn, February 1882 - 20 July 1951), born in Mecca, Hejaz, Ottoman Empire (in modern-day Saudi Arabia), was the second of three sons of Hussein bin Ali, Sharif and Emir of Mecca and his first wife Abdiyya bint Abdullah. [Lieutenant General John Glubb, KCB, CMG, DSO, OBE, MC ('Glubb Pasha') 21 March 1939 - 1 March 1956)]. Published by Gale & Polden Ltd., The Wellington Press, Aldershot. 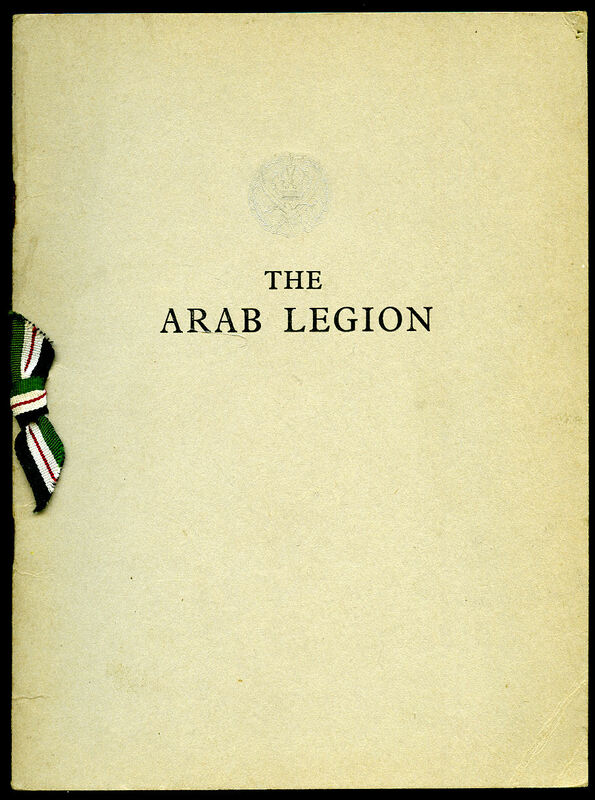 First edition in publisher's original grey card wrap covers [soft back), tied silk colours, small silver motif and black title lettering to the front cover. 8vo. 8'' x 6''. 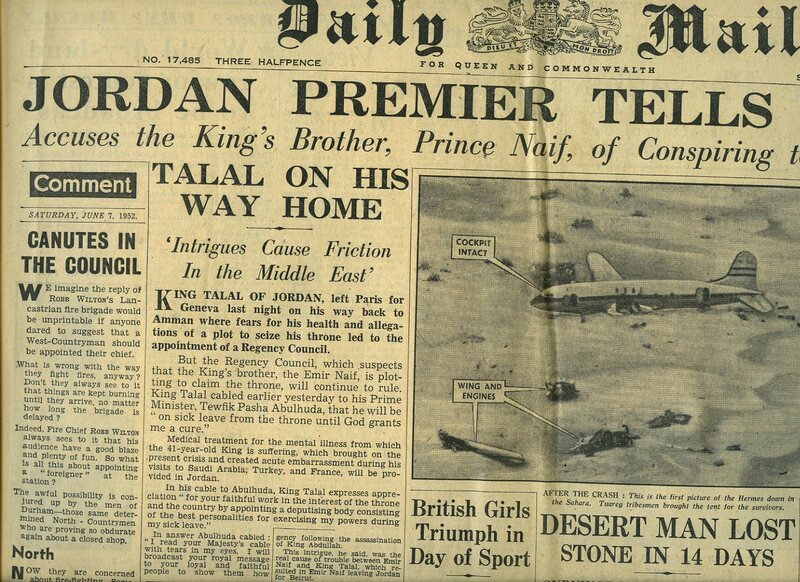 The Arab Legion was the regular army of Transjordan and then Jordan in the early part of the 20th century. In 1939, John Bagot Glubb, better known as Glubb Pasha, became the Legion's commander along with Major General Abdul Qadir Pasha Al Jundi as his deputy commander both transformed it into the best-trained Arab army. Contains 20 printed pages of text with contemporary monochrome photographs throughout. In Very Good clean condition, no dust wrapper as issued. Member of the P.B.F.A. Published by The Religious Tract Society 56 Paternoster Row and 65 St. Paul's Churchyard, London First Edition 1895. 1895. 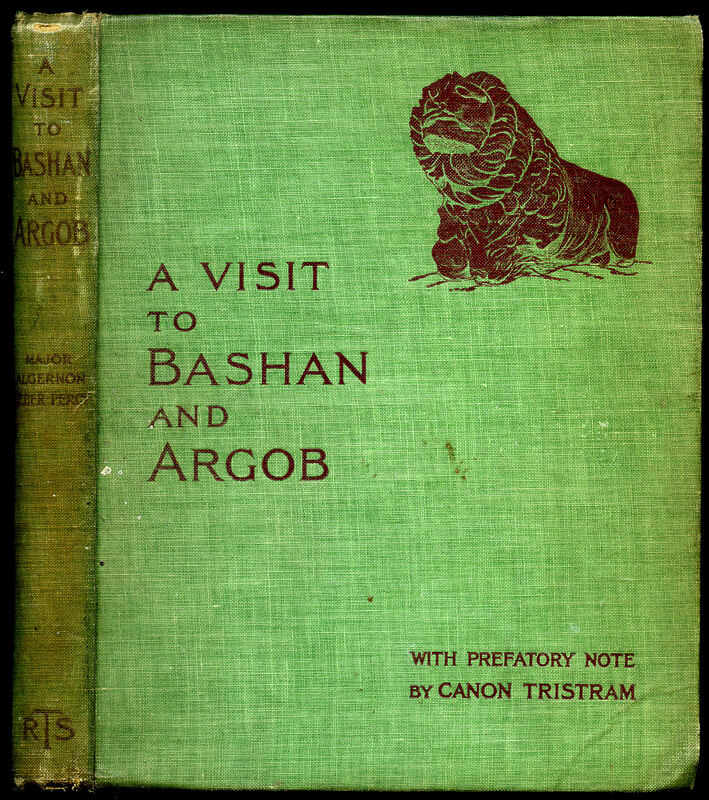 First edition hard back binding in publisher's original forest green cloth covers, russet title and author lettering to the spine and to the front cover. 8vo. 8¼'' x 7''. 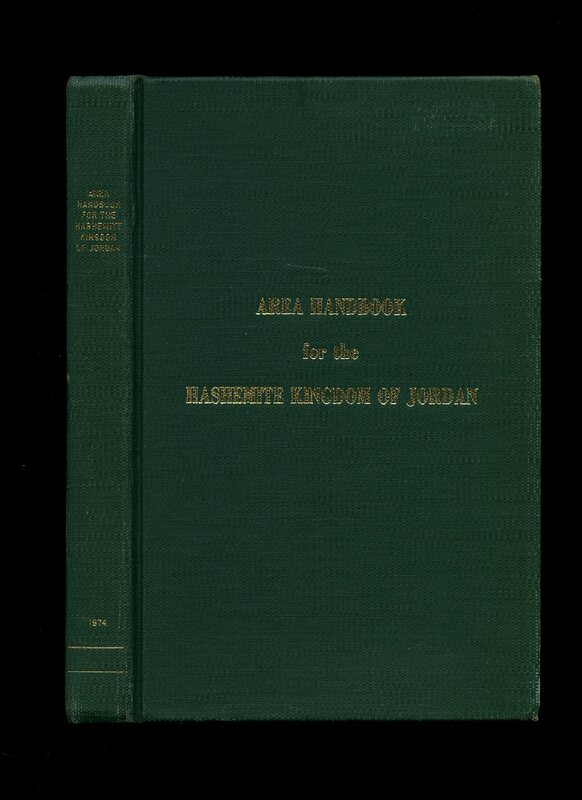 First edition of this 19th-century travel narrative about a journey through the Middle East. 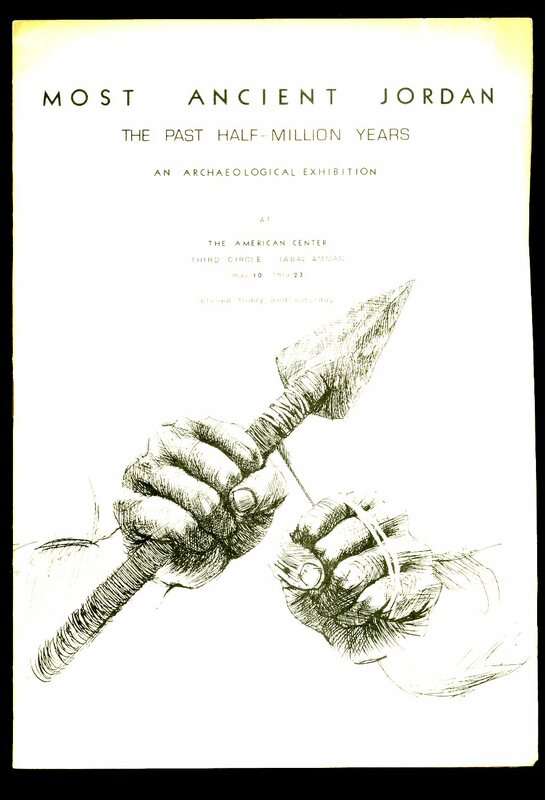 Contains 175 printed pages of text with 33 full-page illustrations and photographic plates, 20 in-text illustrations, and one map. Spine sun faded, rubbing to the cover edges and in Good clean condition. Member of the P.B.F.A. Published by Frederick Muller Ltd., Fleet Street, London First Edition 1968. 1968. First edition hard back binding in publisher's original black paper covered boards, silver title and author lettering to the spine. 8vo. 8½'' x 6''. Contains 243 printed pages of text with monochrome photographs throughout. Ex library copy with tape, card holder and label traces to the end papers, front free end paper missing. Near Very Good condition book in near Very Good condition dust wrapper with Dewey number to the spine, rubs to the foot of the spine, not price clipped 42/-. Dust wrapper supplied in archive acetate film protection. Member of the P.B.F.A.